Who would be in your dream fourball? Tiger Woods must be, even though he’s not really playing at the moment. He’s just such a legend. Then there’s Ernie Els, he’s been around for ever and is just a South African icon. And then Olympic great Michael Phelps, who is a keen golfer. I’ve heard he’s about a 21-handicap, so I’d love to day that I’ve also beaten him! I’m a 15, but I’m not consistent. On a good day I can make a few pars and one-over here and two-over there but on a bad day it can go pear-shaped. I can hit the ball well but I don’t play or practise enough. My ‘day job’ as a swimmer means I train about six to seven hours every day, so I don’t get much time for golf, and when I do I find that I get a bit tired. I would prefer playing nine holes because by the 14th or so, my concentration drops and I get tired. The concentration for swimming is in sets and it’s very different. I enjoy golf but the training and swimming exertions do get to me in those last few holes. The Masters at Augusta. I suppose it’s because it seems more ‘pure’ than the others, a little like the Olympics. There isn’t the advertising or incentives of huge money or cars for a hole-in-one. The players seem to want to win it because of the tradition, the Green Jacket. The lack of advertising seems to add to its ‘unique’ environment. What’s your strongest club in the bag? Probably my 9-iron or pitching wedge. My game is quite simple … I try to get within 140-150m of the hole and then out comes my pitching wedge. I can hit it that far and straight, and I’ve got a flexible body so I normally hit it quite well. I don’t really like getting too close to the green, 60m away … I prefer my ‘safe’ range from 150m! I’d love to experience Augusta National but in the likelihood of that not happening the best one I’ve played on is The Emirates Golf Club in Dubai. Actually, Dubai was a great golfing experience for me and I don’t know off-hand what the name of the place was, but I played night golf where all the holes were par threes. I really enjoyed that! Who is the best sportsman you have played with? That’s easy … [former Proteas cricketer] Shaun Pollock was insane. I think he plays off something like a one-handicap and it feels as though you’re playing with a pro. He doesn’t have any weaknesses. Have you ever come close to a hole-in-one? Yes, at Arabella, where I hit from an elevated tee and the ball rolled just past the hole, although I couldn’t see how close from quite far away, but it must have been close! And yes, I sunk the putt! 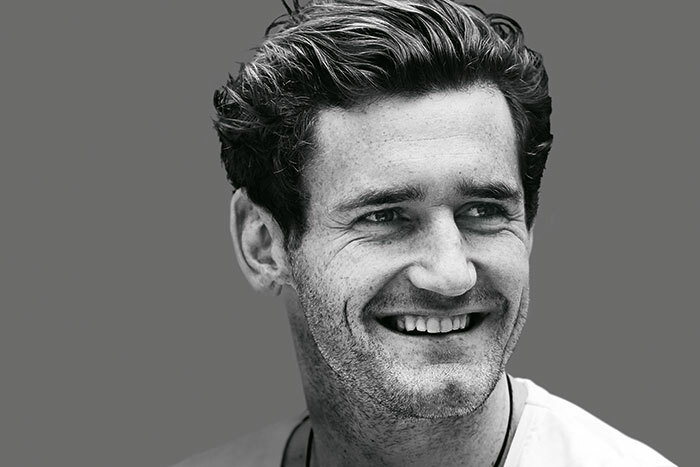 Van der Burgh is a multiple world record holder in the men’s breaststroke and a world champion, Commonwealth champion and reigning 100m Olympic champion from London 2012. He was also named the overall male winner in the 2008 and 2009 Fina World Cups. The 28-year-old was Africa’s first home-trained world record holder and Olympic champion.